When Dr Organic releases another cluster of skincare treatments to their range it is something that catches our eyes immediately. Luckily we were able to be sent over a couple of bits from the new ‘Charcoal Range’. The range benefits from activated charcoal which detoxifies and cleanses the skin of impurities, as well as helping the skin to feel plumper and more rejuvenated. During the deep cleansing process the skin is able to absorb the additional bio extracts in the product boasting of energising fruit (cucumber, orange and cinnamon leaf) and revitalising Aloe-Vera. Activated charcoal is currently the 'in thing' at the moment, the trend that everybody and their mum is talking about, and if you are unsure why….Where have you been for the last couple of months? Activated charcoal has reached its claim to fame due to its multi-usage. 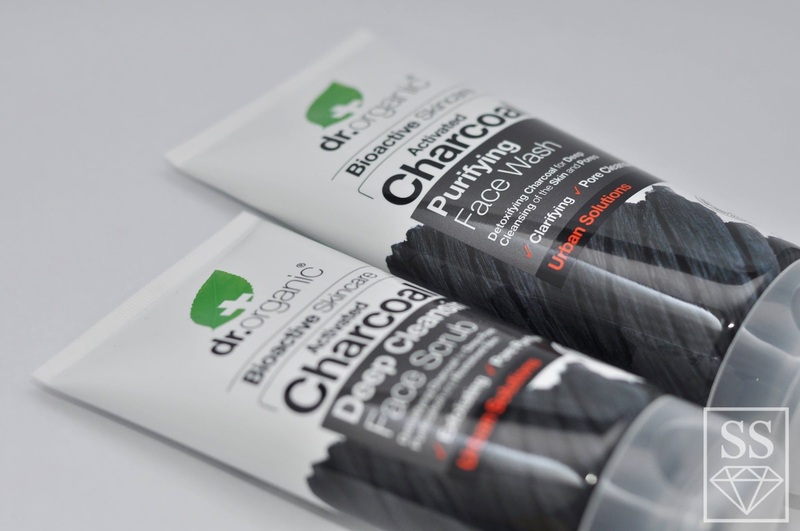 Activated charcoal can be used to whiten teeth, reduce bloating and detoxify skin. So if you didn't know before, you certainly do now. After reviewing both the face wash and face scrub for over the past two weeks, it is definitely safe to say it is suitable for all skin types (in particular oily/combination and blemish prone skin types). 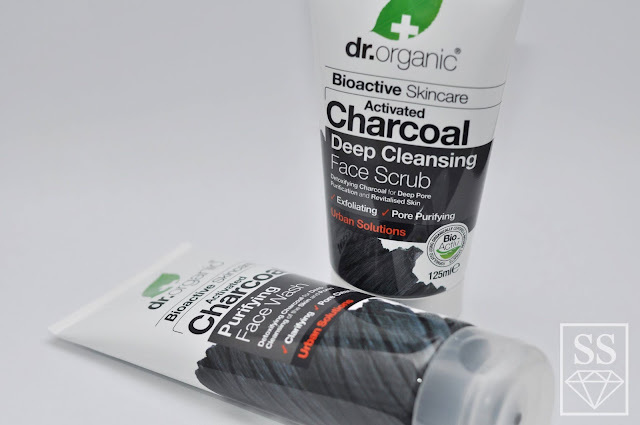 The first thing noticeable about the charcoal range was the consistency of the product, prior expectations was that it would be thicker, however during application the face wash/scrub is quite thin in consistency and feels like it has a water based solution. The scrub has very fine beads that is non abrasive and gentle to the skin, however the consistency of the scrub was similar to that of the face wash. After applying the product and massaging in a circular motion to increase the blood flow the skin is left soft to touch and can have a tingly fresh feeling at the end. End Thoughts: Impressed with how it left my skin feeling and thoroughly enjoyed using both products, my preference of which suited my routine would be the face wash as I prefer thicker scrubs. All in all this is certainly a product that is worthwhile if you suffer with clogged pores or you are looking to brighten your skin.